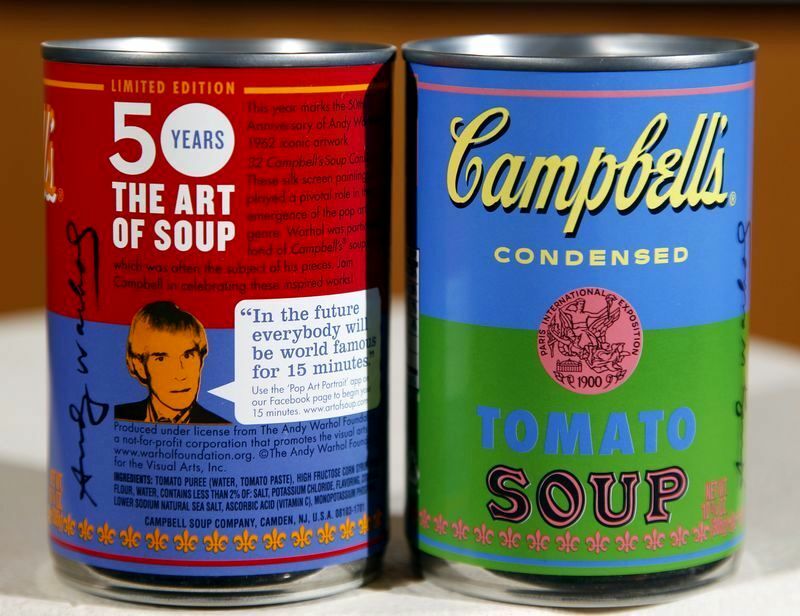 Campbell’s Soup Company and Target will honor the legacy of Andy Warhol on the semi centennial of his first “Soup Can” show in L.A with the release of can featuring labels inspired by the artist himself. 1.2 million limited-edition cans will go on sale this week at Target stores nationwide. These cans were designed with colorful lively palette, magenta, yellow, teal and oranges along with Warhol’s famous quotes are printed on back. Next Post Pierre-Auguste Renoir Painting Surfaces at a Shenandoah Valley flea market.